Additionally, it was announced that the center would be housed in Nashville Yards, a commercial area where the Lifeway Building recently gave up its ghost, with construction completion being more than a year away. Additionally, this is not a relocation. The company is bringing jobs, not employees. An official with the company said it will recruit locally and outside the area to fill the jobs, meaning there will be some employees relocating to Nashville and others are already residing in the area. One real estate firm that has the Amazon logo printed along with its logo is stating 5,000 people are moving to the area right now and this is the time to list in order to capitalize on the move. The ad never says it represents Amazon, but the implication is there. Another group is more brazen and has made phone calls stating it is representing Amazon in its move into the area and that the average salary of $150,000 puts the homeowner’s home in that price range. This group is calling mainly expired and withdrawn listings, but in all price ranges. In one conversation, the real estate agent told the owner of a $3 million home that a person salaried at $150,000 would qualify for a $3 million home. Such a calculation would be true if the buyer had $2 million for a down payment. In these cases, let the seller beware. Any potential seller who receives such solicitation should seek the advice of several Realtors before agreeing to sell the property. The chances are it will not be an Amazon employee. 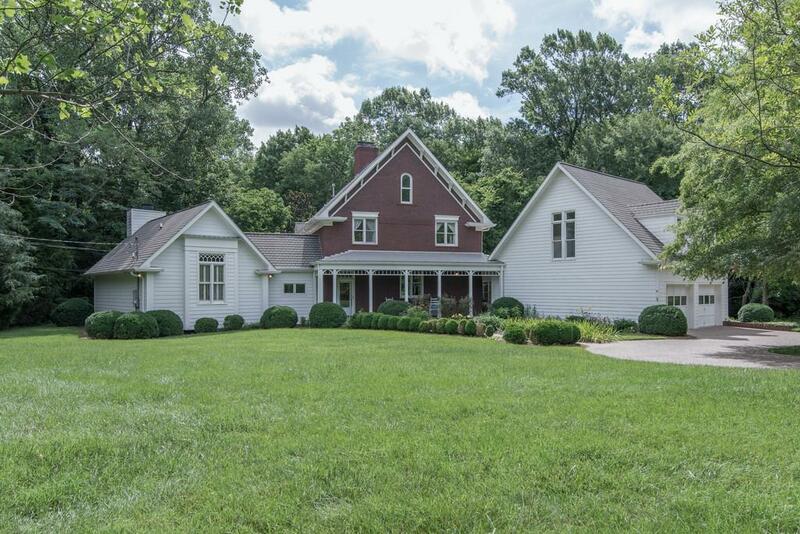 There are more than 40,000 houses sold each year in the Nashville area. If as many as 4,000 of the 5,000 moved to Nashville from outside the city – and if 60 percent of those bought – that would be 2,400 sales, or about a 6 percent increase in home sales. That is assuming they all bought in one year and all current trends held true. So let’s take a breath. Kyle Felts is a home-pricing wizard. A longtime veteran of real estate wars and one of the more respected figures in the business, Felts prices houses to sell and usually get his price or better, as he did at 5337 Forest Acres Drive last week. He priced the 4,090-square-foot home for $775,000 or $189 per square foot. It sold for the redundant price of $777,777, or $190 per square foot. There were areas of the house that are spectacular, the 16-foot ceilings in the living room and the two-stove, two-dishwasher kitchen, for example. The house has custom windows and is adorned with plantation shutters, all protected by a 26-year-old roof. “Why did the owners not replace the roof when they undertook all of the other renovations?” you might ask. “Because it did not leak,” would be the answer. There are inspectors who insist that a 30-year roof only lasts 15-17 years. In reality and realty, some roofs only last 15 years and some last at least 26, as evidenced by the house at 5337 Forest Acres Drive. As is the case with houses and humans, maintenance leads to sustainability. A roof should be protected from over hanging branches that can rub the shingles to the felt. Another method used to prolong the life of a roof is to install roof vents so that the roof does not overheat. A scenario rarely seen is the four-layer roof. It is acceptable to place one roof atop an existing roof. Many feel that adding yet another over the second roof will not harm the situation, but others feel that roofs are like martinis, one is perfect, two will not hurt the participant and three can be dangerous. Like martinis, roofs can cause damage that is undetected at first. A small leak might not make its way to the ceiling or the drywall of the house and may pool on a rafter or a joist thereby compromising the wood and perhaps creating mold spores that can work their way into the HVAC system and be distributed throughout the home. As is the case with the crawlspace, the roof should be examined regularly and checked for leaks. All shingles are affixed to the decking with nails. If not properly driven, the nails can penetrate the decking and felt in such a way as to lead droplets of water into the attic. Felts co-listed the property with Amy Tarter, who is affiliated with Parks. The co-listing is the best deal for home sellers since they get two firms for one price. This cooperative experience is often the result of a house being owned by two or more people with each having their own Realtor. Lisa Culp Taylor, the tech-savviest woman in real estate, represented the buyer. Taylor possesses a unique talent that allows her to view four different computer screens, each showing different data and photos simultaneously. She is well known for her love of animals and, after selling more than 1,000 homes, still likes humans, as well. Her $777,777 number got the attention of the sellers in this multiple-offer scenario, and she won the prize for her clients. Richard Courtney is a licensed real estate broker with Fridrich and Clark Realty.